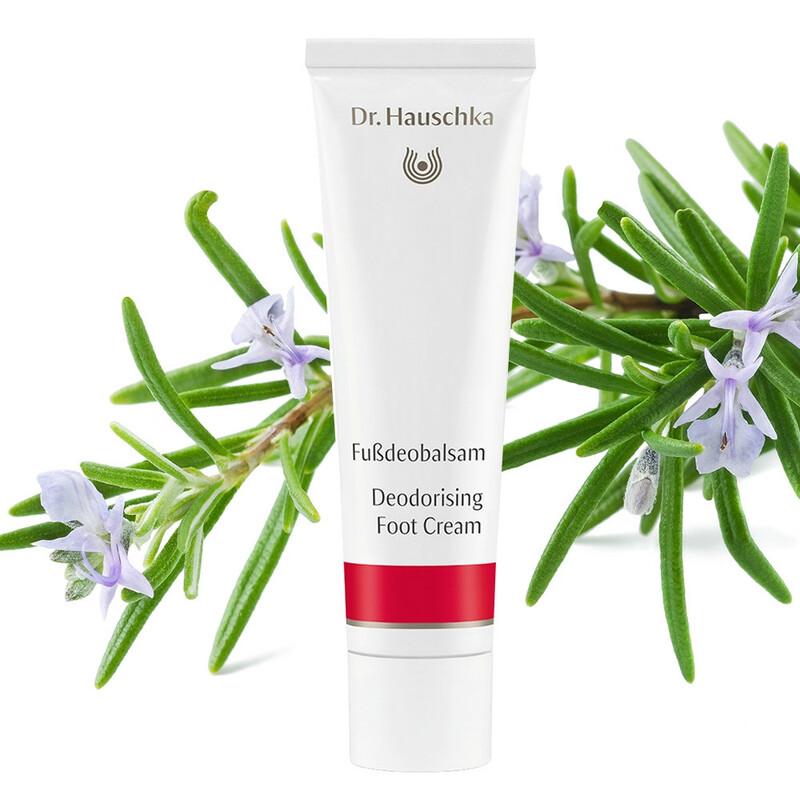 Deodorising Foot Cream keeps feet dry, comfortable and fresh throughout the day. One application controls odour and excess moisture, warms feet and softens skin. Our feet are probably the most hard-working parts of our bodies and as such can suffer from excess moisture and odour. Care for your feet daily with this wonderfully refreshing cream. Not only will it reduce odour and make your feet more comfortable, but it will actively promote healthier skin too. Skin will be left with a protective layer helping prevent rubbing and irritation. Containing ingredients to help reduce excess moisture, including Silk Powder, Rosemary, Sage and Goldenrod. Organic is the best care for your feet. Application: Regularly apply a thin layer of Deodorising Foot Cream to the sole of the foot and between the toes without massaging it in. Tip: Tired legs will welcome the refreshing, energising benefits of Revitalising Leg & Arm Tonic. A foot bath with Sage Purifying Bath Essence also refreshes feet. Matching Products: Silk Body Powder helps keep feet feeling fresh. Ingredients: Water (Aqua), Glycerin, Oryza Sativa (Rice) Starch, Solidago Virgaurea (Goldenrod) Extract, Bentonite, Salvia Officinalis (Sage) Leaf Extract, Fragrance (Parfum)*, Alcohol, Limonene*, Silk (Serica) Powder, Rosmarinus Officinalis (Rosemary) Leaf Oil, Linalool*, Citral*, Geraniol*, Citronellol*, Coumarin*, Propolis Wax.